Q3 helped the client in developing a web based ERP application that will be responsible for controlling the Service Management from Work Order creation to Work Order completion. The application also handles modules like Employee Management, Customer Management, Warehouse Management, etc. Technology is the driving force of businesses over the world. A technical glitch can be detrimental and businesses have a zero tolerance policy towards technical shortfall. The expert technical support services are committed to help improve the operational efficiency and early identification of snags and pitfalls. This gives ample time for preventive diagnosis and repair. A legacy ERP system was being used by the client to manage the calls, technicians, customers, warehouses, etc. The dashboard application was an Access based application which was being used for displaying the data. There were multiple paths for a single functionality in the ERP system. The client was facing many issues and challenges like lack of understanding, cost of maintenance, integration of new systems, etc. Hence, a web based application was required for the enterprise to deliver faster and better results. This application also allows the user(s) to use the Organization Filter to target only the specific set of calls, customers, technicians, and phone numbers based on selected geographic locations of the client. Legacy Core System Modernization: A SaaS based web application was implemented to replace the AS 400 and MS Access based legacy system that the client was using. Elimination of Redundant Features and Introduction of New Features: Partial/ redundant features were eliminated after in-depth analysis. New functionalities and enhanced features were introduced into the SaaS based portal which included B2B and B2C interfaces as well. End to End Work Order Management: The application developed for the client can be used to efficiently manage work orders from end to end. Right from the creation of work orders to assignation and service delivery can be effectively tracked and managed using this system. End to End Management of Spare Parts and the related Logistics: The system that was developed for the client facilitated the complete management of parts required to fulfill work orders, right from procurement to warehouse management and the logistics involved. User-Friendly, Customizable interface and Dashboard: The developed web application is very user friendly and has a very clear navigation. The application has been designed based on the basis of defined web standards and guidelines. The application allows the user(s) to Search, Create, Update, Delete, and Import/Export the data for the developed functionalities based on certain authorizations and permissions. It shows the search results in the form of the grid. 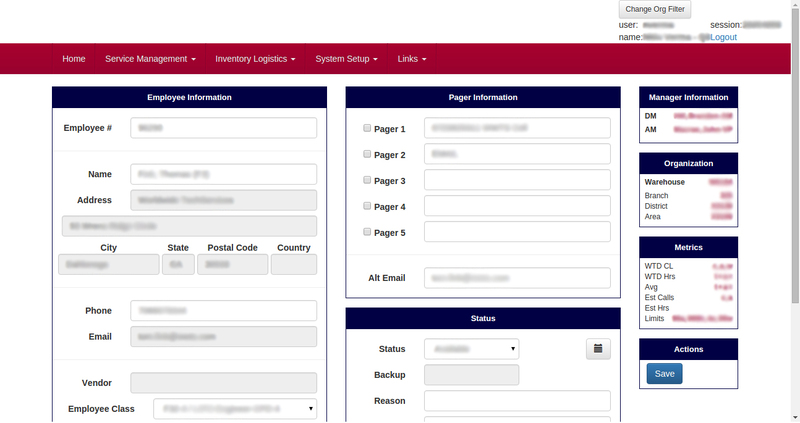 The user can apply various actions on the grid like Sorting, Filtering, Reordering, Resizing, Pagination, etc. The user can save the customized grid and can also load the default grid. Provides services like Call/Order Management, Employee Management, Customer Management, etc. 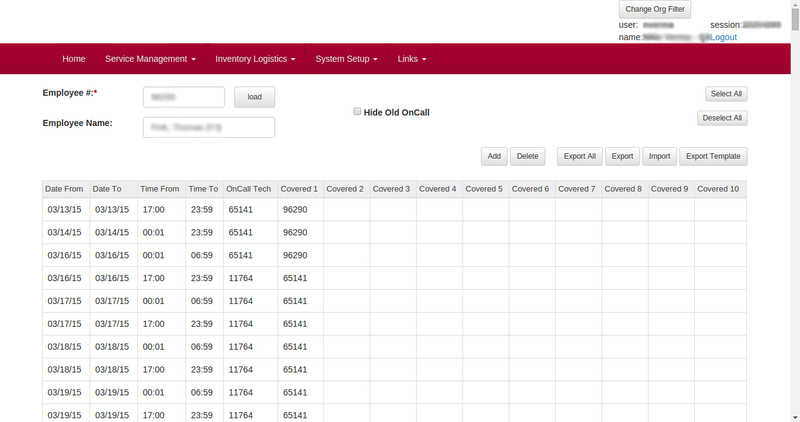 Allows the user to view only a specific set of calls, technicians, customers, etc. The application has a user friendly dashboard for displaying the significant information, such as Call Summary, Technician Information, Performance Trend, Region wise Make/Miss Performance, etc.